This classic beef stroganoff is so savory and filling! 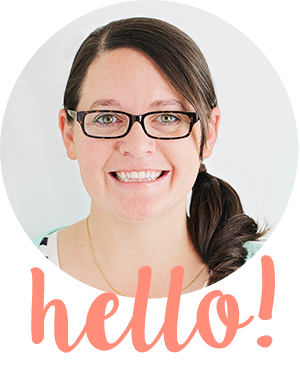 It's the perfect easy dinner for a busy night, and one the kids will love! Last year I started a new tradition for my birthday of having an overnight date with my husband and going to see a show, and it was so much fun! We saw Vance Joy in concert at Saltair, and it was amazing. We had a great time together, and it was wonderful to have a kid-free night (which almost never happens around here). This year we continued the tradition and saw Jim Gaffigan in Yakima, Washington. It was a bit of a drive to the concert, and we had a nice little drive listening to our favorite podcasts and eating our favorite road trip snacks. Jim Gaffigan was hilarious, as always, and it was a fun night away. While we were having a great time, our kids got to spend the night with my nephew and his wife, and I think it's possible they had even more fun than we did! My niece is an excellent seamstress, and taught the girls to sew their own skirts (plus some skirts for their American Girl dolls, too!). When we came to pick them up the next day, the girls were so sad to leave, and told me all about their amazing adventure. My six year old Lizzy, in particular, can't stop telling me how delicious the food was. She told me all about the stroganoff they made for dinner, and how it was "the bestest dinner I've ever had!" 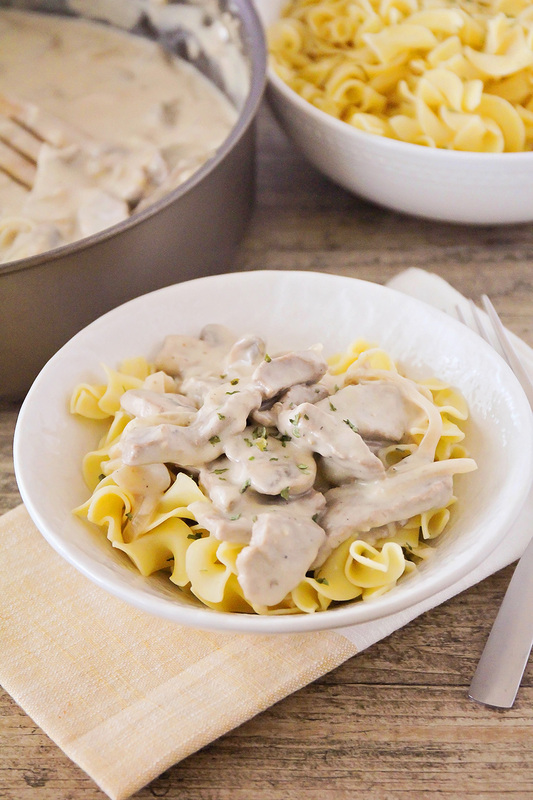 I realized that in nearly ten years of motherhood, I've never made stroganoff for dinner! It's something I ate fairly frequently as a child, and loved, but somehow it has just never made it onto our menu. Since Lizzy is now obsessed with stroganoff, I decided it was time to add it to our rotating list of family dinners. 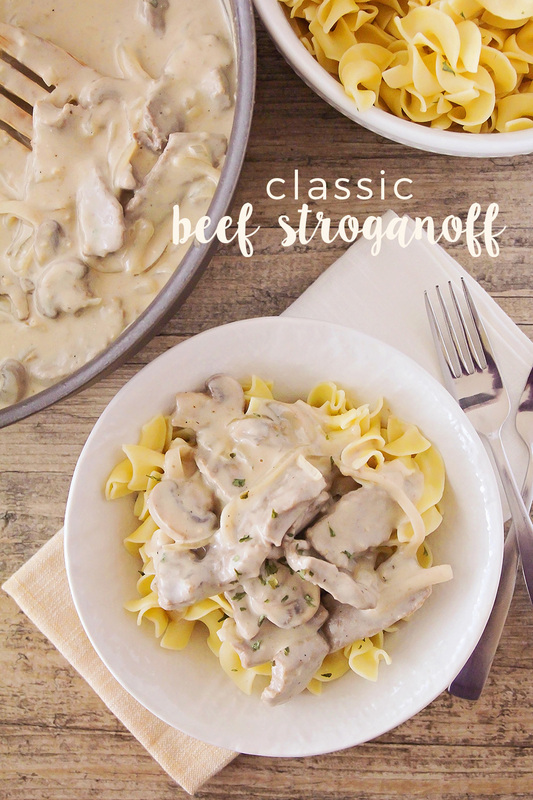 This classic beef stroganoff tastes just as good as I remember it as a child, and is so easy to make, too! It's loaded with strips of juicy beef, tender mushrooms, and a creamy, savory sauce that will make you want to lick the plate. I served it on egg noodles, like I remember as a child, but it would also be great on mashed potatoes or rice. 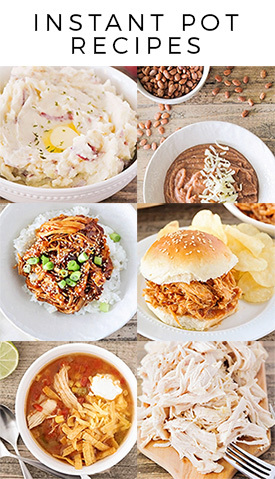 It's a delicious and filling dinner that the whole family will love! Melt the butter in a large skillet over medium heat. Add the mushrooms, onion, and garlic, and cook until the onions are translucent. Remove the vegetables to a plate and set aside. In the same skillet, cook the steak until browned. Add 1 1/2 cups of broth, salt, pepper, and Worcestershire sauce. Bring to a simmer and cook, covered, for 15 minutes. In a small bowl, whisk together the remaining 1/2 cup broth and the flour. Pour the flour mixture into the skillet and stir to combine. Add the mushrooms, onions, and garlic back into the skillet and bring back to a simmer. Remove from heat and stir in the sour cream. Serve hot over cooked egg noodles.